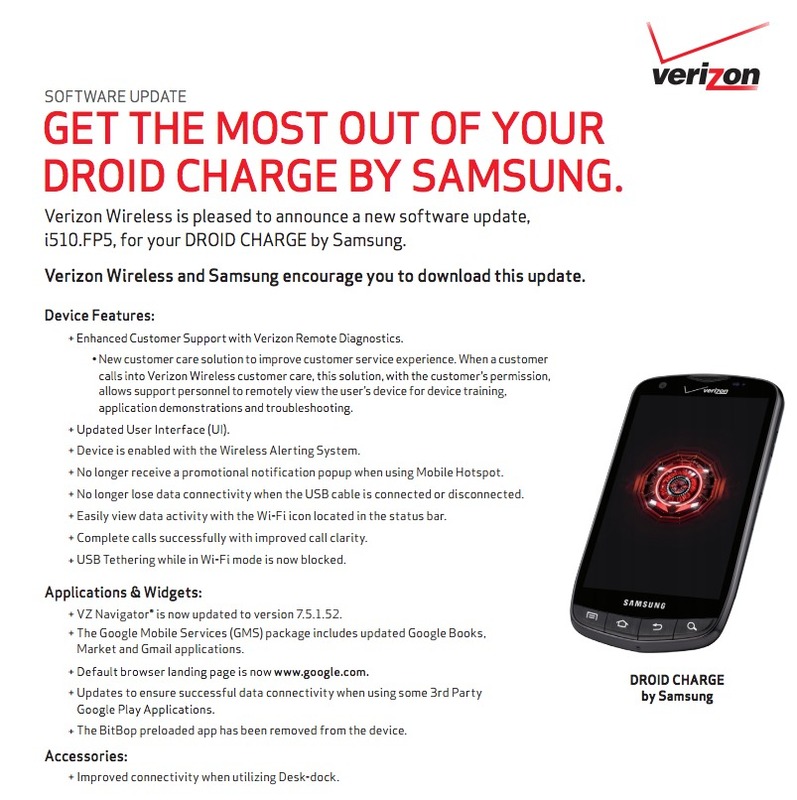 A new update has been approved for the DROID Charge this morning, bringing it up to build FP5. While the document above lists out all sorts of changes, it is actually the changelog from the previous FP1 update, only the bullets have been rearranged. We are assuming then that this is nothing more than a minor bug fixer. If you receive it, be sure to let us know of any differences. Update: For some reason, Verizon changed the support doc back to the FP1 update from March. We’ll keep an eye on it and see if it changes again with a new changelog. The update itself is 19.3MB and will likely rollout to everyone within a week. More.